Home / Eco / Urgent Call for Support from #Germany’s #Hambacher Forest: Massive Police Action Imminent! Urgent Call for Support from #Germany’s #Hambacher Forest: Massive Police Action Imminent! The courtcase which gave the Hambach Forest a little more time to prepare for cutting season is lost. RWE started today with clearing bushes to prepare for total cutting. The preparations for an massive police action are obvious. Read all our reports about Hambacher Forest; here. Urgent Call for Support from Germany’s #Hambacher Forest: Massive Police Action Imminent! They announced that they want to evict the whole occupation. We expect them latest on Monday for evictions. They are already in the forest protecting machinery. But to make it possible that Hambach Forest stays we need you and your friends/comr@des! 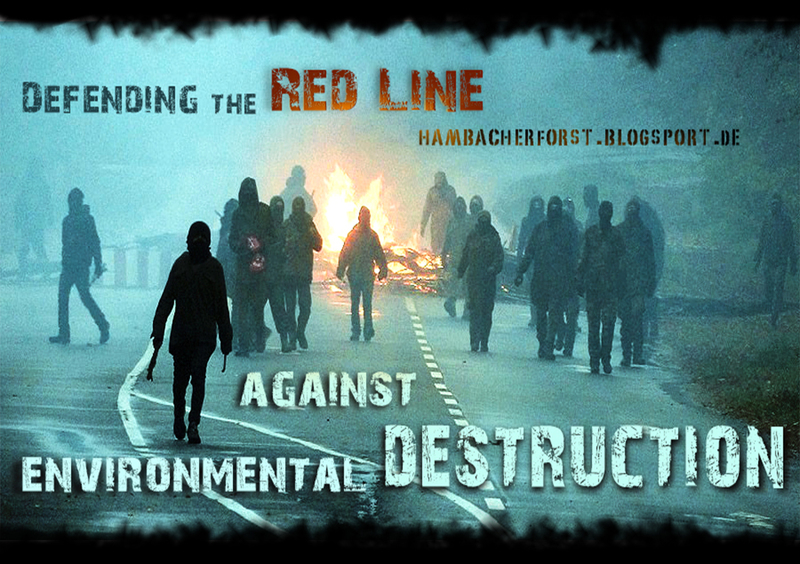 #RWE Started Uprooting #Hambacher Forest With the Help of Police Violence – Support Needed! | Enough is Enough! #Hambacher Forest: Resistance Continues – Court Order Forces #RWE to Stop Uprooting | Enough is Enough!